Mexican gray wolf, Mexican spotted owl, the Southern Rockies and Sky Islands-Great Gila focal landscapes, conservation biology and public lands protection, habitat connectivity, ecosystem restoration and ecosystem services. 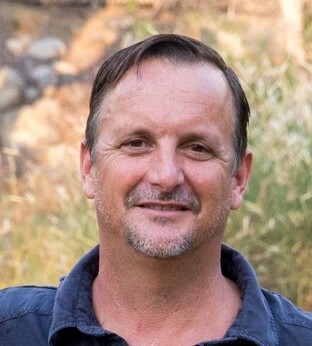 Bryan Bird joined Defenders in 2016 and directs Defenders' efforts to protect imperiled wildlife and their habitats in the Southwest. Bryan has over 20 years of experience protecting and restoring public lands while preserving wilderness and biodiversity across the Southwest and northern Mexico. Bryan has expertise in conservation of forests, riparian ecosystems and rare species habitats. He served by appointment of the Secretary of Agriculture on the Collaborative Forest Restoration Program (CFRP) Technical Advisory Panel that advised the Secretary on funding priorities and restoration of fire-dependent ecosystems. Bryan leads Defenders of Wildlife's work in Arizona, New Mexico and Texas, focusing on imperiled wildlife and their habitats including the Mexican gray wolf, jaguar, ocelot, Mexican spotted owl, desert fish, the dunes sagebrush lizard and golden cheeked warbler among others. Bryan also leads Defenders' Field Conservation campaign on the border wall and its impacts on imperiled wildlife and habitats. He has published reports on western wildfire policy and beaver reestablishment as a tool for climate adaptation. Bryan holds a M.S. in Biology from New Mexico State University and a B.S. in Biology, from the University of Colorado, Boulder.